Photo: Ron Savage. Creative Commons BY-NC-SA (cropped). United Nations officials today marked the World Day Against Child Labour by highlighting the crucial role of social protection in keeping boys and girls out of a heinous practice that robs them of their childhood and threatens their prospects for a better future. The UN International Labour Organization (ILO) estimates that 168 million children worldwide — one in ten — are involved in child labour, with 85 million of them engaged in hazardous work. 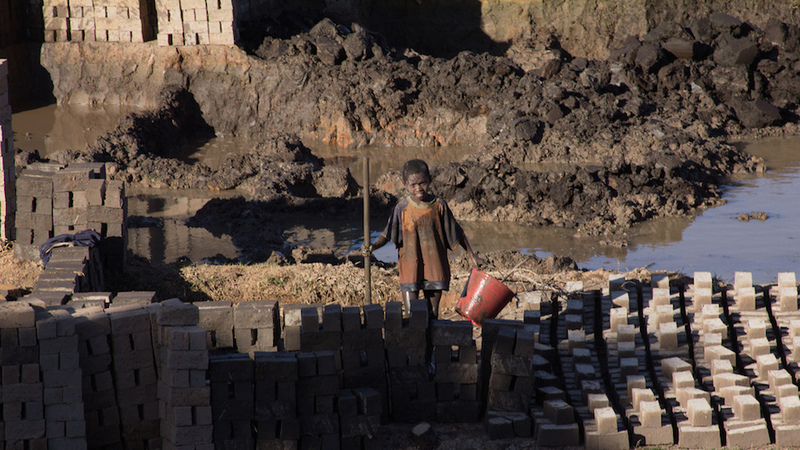 In his statement for the World Day, ILO Director-General Guy Ryder noted that family poverty and income shocks are often catalysts of child labour. “It is time to break this cycle and ensure that families living in poverty have adequate incomes, income security and health care,” he said, adding that these social protection measures can help households weather shocks and keep their children in school and out of child labour. “Underinvestment in children jeopardizes their rights, not least their right to freedom from child labour, and it is a stranglehold on the prospects of a better future for themselves and their countries,” Mr. Ryder stated. John Ashe, President of the UN General Assembly, called on Member States to recognize that social protection is a right, one that is central to the task of ending child labour. “We must work to ensure that children have access to basic resources including nutrition, health and education, so that they may fully realize their potential,” he stated in his message. World Day activities are taking place in more than 45 countries, and include high-level meetings, public rallies, and media, sports and cultural events. They also include numerous concerts dedicated to the Music against Child Labour Initiative that was launched last year. The Initiative calls on orchestras, choirs and musicians of all genres to dedicate one concert between October 2013 and December 2014 to the struggle against child labour. In addition to the theme of social protection, many events will be centred on the ILO’s Red Card to Child Labour campaign. This year, award-winning musicians have come together and recorded a song, “Til Everyone Can See,” in support of the Campaign. The song and related video are being released today, which is also the opening of the FIFA World Cup in Brazil, the most watched sports event in the world, with an estimated audience of three billion people. The choice of the Red Card and the launch date of the campaign are deliberate, according to ILO, which noted that the Red Card is a powerful image that is recognized across the world as a warning that something is wrong and must stop.